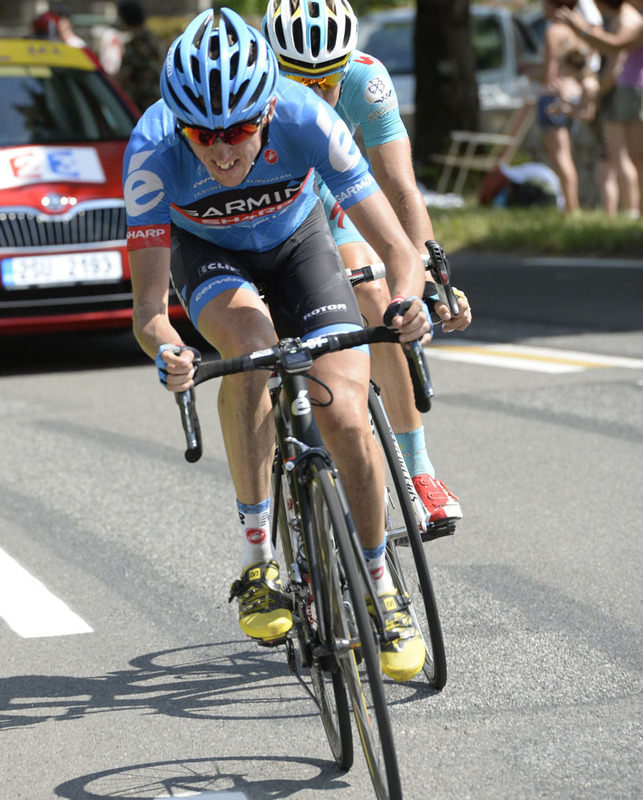 Daniel Martin (Garmin-Sharp) escaped from the lead group on the final Hourquette d’Ancizan climb and out-sprinted companion Jakob Fuglsang (Astana) to win Tour de France stage nine today in Bagnères-de-Bigorre. 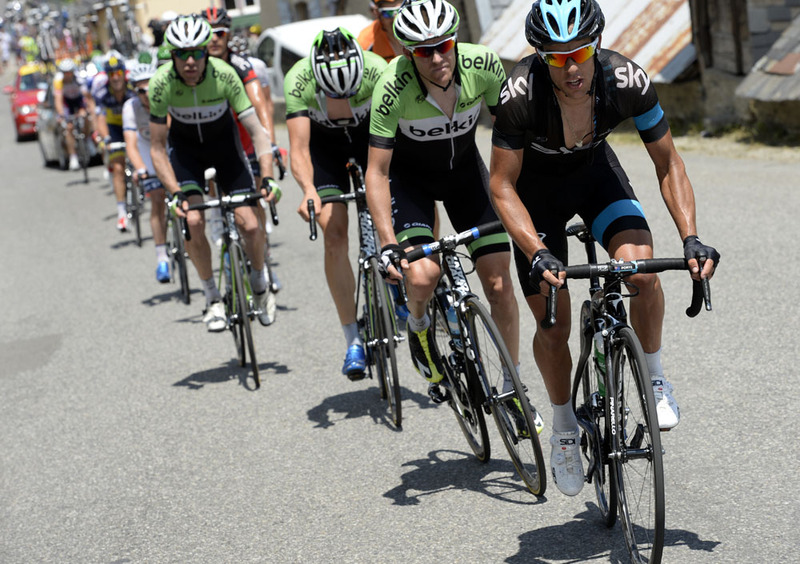 Froome was left without team-mates on the first climb of day, the Col Portet-d’Aspet. Saxo Bank and other teams drove the pace high and split the group. Only Froome held on. Pete Kennaugh (Sky) fell off the left side of the road on the descent. He climbed up, but had to return to get his bike in order to continue. His left side was scraped and his jersey ripped due to the fall. Over the next climb, the Col de Menté and the final three – Peyresourde, Louron-Azet, Hourquette d’Ancizan – Saxo Bank and Movistar continued to lead. Movistar had six riders in the lead group at one point, including danger-men Alejandro Valverde and best young rider, Nairo Quintana. Quintana attacked multiple times on the final Hourquette d’Ancizan climb. Froome marked him, but let Daniel Martin (Garmin-Sharp) and Jakob Fuglsang (Astana) ride free with 34.8 kilometres remaining. Porte nearly recovered, moving to within one minute to Froome’s group on the Val Louron-Azet, but cracked. The Aussie was Sky’s ‘plan B’ 24 hours ago, but after finishing 17-59 minutes back, plans have changed. Froome, at least, maintained his yellow jersey heading into the race’s first rest day. The Tour resumes on Tuesday in Saint-Gildas-des-Bois.